This chapter focuses on exploring the role of pre-service teacher (PST) narratives in a research-based model of initial teacher education (ITE) for secondary English teachers across three semesters of a two-year graduate entry, Master of Teaching (Secondary) degree at the University of Sydney, Australia. The model is underpinned by the belief that the development of the teacher's professional identity is an antecedent and generator of their ways of knowing and teacher quality. 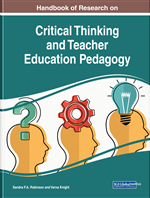 Initially, the chapter frames the model of ITE through a discussion of the relevant research literature in the field of pre-service teacher development. It then delineates the features of the model at the University of Sydney and provides a close analysis of the sequential narratives of a pre-service English teacher over the course of the first semester of study in the ITE program. Finally, the chapter reflects on the affordances of narratives in shaping PSTs' ways of knowing and professional identity. Learning to teach is not a mere matter of applying decontextualized skills or of mirroring predetermined images; it is a time when one's past, present, and future are set in dynamic tension. Learning to teach – like teaching itself – is always the process of becoming: a time of formation and transformation, of scrutiny into what one is doing, and who one can become. (Britzman, 1991, p. 8). In current educational research and policy there is broad consensus that ‘teacher quality’ is one of the most salient influences on student learning and achievement (Day, 2017; Hattie, 2009). There is far less unanimity, however, when it comes to defining ‘teacher quality’ and the optimal means of preparing and retaining ‘quality teachers’ for diverse and often complex professional roles. In the field of Initial Teacher Education (ITE), research and practice over recent decades have increasingly concentrated on understanding and theorising the concept of teacher professional identity as “the core of the teaching profession” (Sachs, 2005, p. 15). Professional identity fashions teachers’ expectations of themselves, what they perceive to be the expectations and perceptions of others from inside and outside the school, and their efficacy and agency, the strength of their beliefs that they can, or cannot, succeed in their work with pupils (p. 49). When teachers are viewed as “active, thinking decision-makers who make instructional choices by drawing on complex, practically-oriented, personalised and context-sensitive networks of knowledge, thought and beliefs” (Borg, 2003, p. 81), the emphases and goals of ITE programs inevitably shift. They shift from a predominant focus on the technical, skills-based components of learning to teach to incorporate a more person-centred, constructivist paradigm that recognises the “symbiotic relationship between professional and personal, cognitive and emotional influences on teachers’ identities” (Day, 2017, p. 31). Such a paradigm is typically characterised by attention to fostering the professional identity of pre-service teachers (PSTs) through integrating abundant opportunities for sustained critical reflection. Critical reflective narratives of the self-as-teacher offer the potential to cultivate in the PST practice-focused and engaged inquiry by balancing the outwardly-focused dimensions of becoming an educator with the equally essential development of the teacher’s interiority, or professional identity (Day, 2017). In this way, narratives created over time in an ITE program can encourage “beginning teachers to think about the self contextually and developmentally and can stretch their imaginations to consider alternative conceptions of teaching and self-as-teacher” (Bullough & Stokes, 1994, pp. 220-21). teacher identity – what beginning teachers believe about teaching and learning and self-as-a-teacher – is of vital concern to teacher education; it is the basis for meaning making and decision making. Teacher education must begin then, by exploring the teaching self (p. 21).